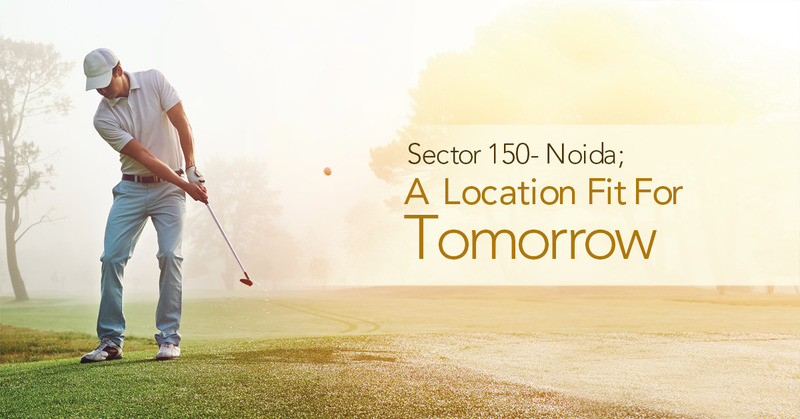 Why Noida Sector-150, Is the Place To Buy A Home? Sector-150, along the Noida – Greater Noida Expressway has come up to be one of the most attractive locations in the National Capital Region (NCR). With a plethora of attractions and advantages, this is one location that you should be putting your money in. In fact, some of the experts have already started calling it as one of the most exciting and among the hottest real estate hub not only in Noida but in the whole of NCR. 70 percent of the entire land in the area has been entitled to sports facilities, 29.5 percent of the land is dedicated to group housing projects and 0.5 percent has been given up for the commercial projects. The advantage of easy connectivity is one of the biggest merits a locality can boast of as it appeals to all sections of people. Surrounded by Noida-Greater Noida Expressway and Yamuna Expressway, Sector 150 in Noida already enjoys the benefit of easy connectivity. The advantage of easy connectivity is one of the biggest merits a locality can boast of, as it is a genuine plus for everyone. Surrounded by Noida-Greater Noida Expressway and Yamuna Expressway, Sector 150 in Noida already enjoys the benefit of easy connectivity. With a lot of greenery around, this is one location that is perfect for everyone who is looking forward to lead a truly green, natural lifestyle. This is one location that you should totally go ahead to get a home at.